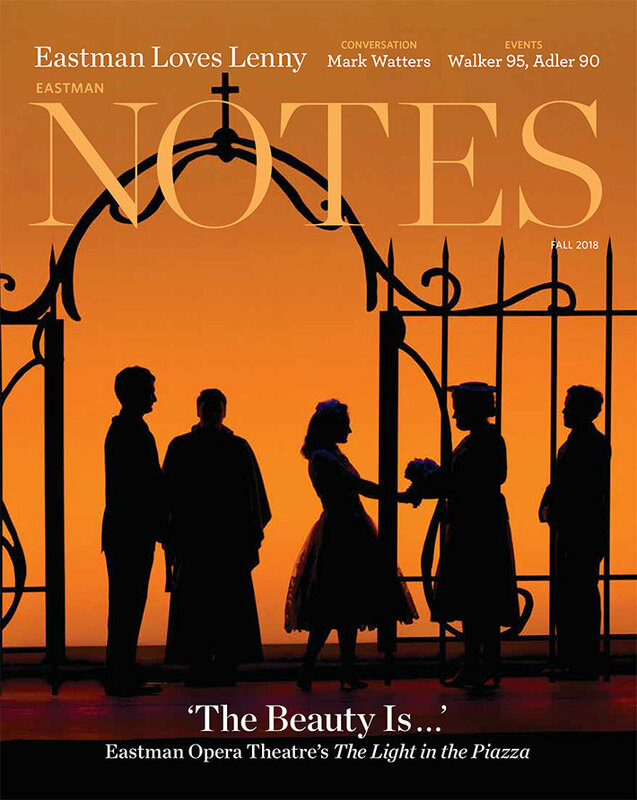 A minimum of three productions are mounted yearly, each within a different-sized performance venue at the Eastman School, including the recently renovated 2300 seat Kodak Hall at Eastman Theatre, the 450-seat Kilbourn Hall, and the 75-seat Opera Studio. Productions feature a wide range of musical styles, most are performed in the original language, and depending on the venue, many use full orchestral accompaniment. Studio productions, scenes programs, and outreach events are also presented to further enhance the variety of performance experience. Eastman Opera Theatre utilizes a “class and degree blind” approach to casting, meaning that roles go to the singer with the best audition, starting their Junior year in school and with the approval of their studio voice teacher. Most of our productions feature a mix of upper class undergraduates (juniors and seniors), masters, and doctoral students. Recent productions include Bellini’s I Capuleti e i Montecchi; Mozart’s Cosi fan tutte, Le nozze di Figaro; Donizetti’s L’elisir d’amore; Puccini’s La Rondine and La Bohème; Britten’s A Midsummer Night’s Dream and Albert Herring; Kander and Ebb’s Cabaret; Sondheim’s A Little Night Music, Sweeney Todd and Assassins; Floyd’s Susannah; Handel’s Xerxes, Orlando; Rossini’s Il Turco in Italia; Ravel’s L’enfant et les sortileges; Bock’s She Loves Me; Poulenc’s Dialogues of the Carmelites; Lehár’s The Merry Widow and Weill’s Street Scene.